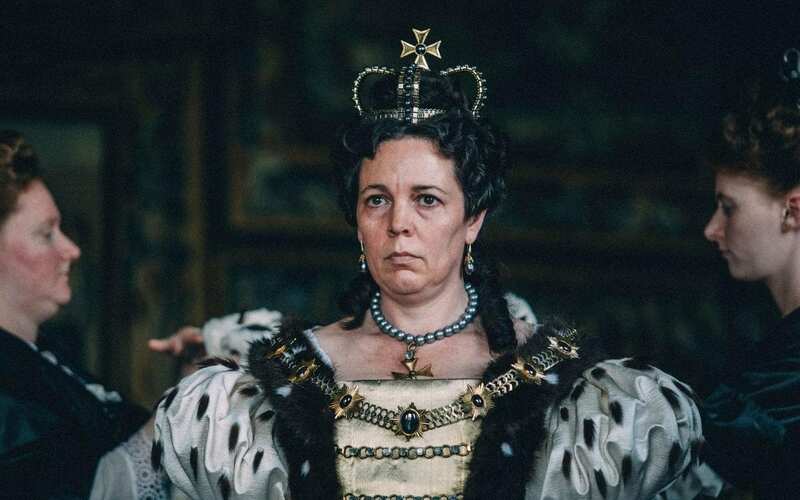 Yorgos Lanthimos’ periodic satire film The Favourite has brought the British monarch to the forefront once again, when the 2018 film created Oscar buzz in this year’s awards season, and even more so when Olivia Colman swept up all her Best Actress nominations at the Golden Globes, the BAFTAs, and the Oscars, playing the lead role as Queen Anne, the British monarch at the time. Inspired by this latest addition in telling the story of the British monarch, albeit only a small part of it, we have pooled together some notable films (and TV series) in the more recent times, to better understand the long history of a nation across oceans. From the war torn days in the late 13th century, (remember the blue-faced Mel Gibson screaming “Freedommmmm!” in Braveheart? Yeah, back then); to the Elizabethan era, England’s golden age in the 16th century; from the pinnacle of the British empire in the 19th century; to the British monarch of today – Queen Elizabeth II, the first British monarch to reach a Sapphire Jubilee (65 years of sovereign), when she surpassed her great-great-grandmother Queen Victoria’s 63-year reign in 2015 – presented in chronological order for your viewing pleasure. At a time when the world’s greater nations were still calling dibs on which weaker countries belong to whom, one should turn his gaze towards the northern part of the British Isle, to fully grasp the immensity of the British monarch that was to come. The Netflix historical action drama film, Outlaw King, reveals the tail end of the First War of Scottish Independence in 1296, between Scotland and England’s King Edward I (played by Stephen Dillane) and subsequently, King Edward II (played by Billy Howle), with Chris Pine taking up the role of Robert the Bruce. Born into a life of barony, with the title of Earl of Carrick (an Earldom that is automatically bestowed upon the heir apparent to the throne, which in present day is held by Prince Charles) inherited from his maternal kin, Robert was one of the prominent figures in the Bruce family who had a strong claim to the Scottish throne. After an unfortunate incident with John Comyn (played by Callan Mulvey), the most powerful Scottish nobleman at the time, Robert was offered a bargain he could not refused by the clergy of Scotland, which ended in him being crowned King of Scotland, and thus making him the namesake “outlaw king” by order of King Edward I, banished from the Scottish mainland. Robert was already in his 30s when he came out of hiding in 1306. Encouraged in part by King Edward I’s death in 1307, and King Edward II’s incompetence as the successor, Robert won over the majority of his fellow Scotsmen, and in 1314, at the Battle of Bannockburn, he brought home the Scottish Independence they have been fighting for. It wasn’t until a little over a year before Robert’s death on June 1329, when England and Scotland reached a peaceful agreement under the Treaty of Edinburgh-Northhampton, in which England, under the ruling of King Edward II, would recognise Scotland as fully independent of England, with Robert and his heirs and successors the rightful rulers of Scotland. The First War of Scottish Independence was first brought to the attention of a wider global audience in the 1995 film directed by Mel Gibson, which has received 10 Oscar nominations, and won five of them, including Best Director and Best Picture. Running somewhat concurrently to the timeline of Outlaw King, Braveheart – named after Wallace’s famous basket-hilted sword – told the story from the point of view of William Wallace (Mel Gibson), a late 13th-century Scottish warrior who would go down in history for waging war again King Edward I of England (Patrick McGoohan). Wallace first led the Scots to victory at the Battle of Stirling Bridge in 1297, before seeking alliance from the abovementioned Robert the Bruce (played by Angus Mcfadyen in this film), an heir apparent to the Scottish throne following the death of the heirless King Alexander III of Scotland. Even though Wallace eventually met his brutal fate under the English magistrate, in which he was hanged, drawn and quartered, you could say that Wallace paved the way for Robert the Bruce to Scottish Independence in 1314, having already instilled in the hearts of the Scots courage and bravery. To say that back in those days, the British monarch – the society and the world, in general – was patriarchal would clearly be an understatement. By the time King Henry VIII took to the English throne in 1509, we would come to see the damage patriarchy did to the monarchy. Despite having wed Catherine of Aragon, who was six years his senior, when he was 18, the queen consort bore him only an heir presumptive in 1516, Mary. Henry VIII’s misogynistic, egoistic and womanising behaviour cost him his marriage with Catherine, as he began to seek out mistresses, in his desperation to find one who could bear him a son. The Other Boleyn Girl recounts that of two of the mistresses Henry VIII (played by Eric Bana) had courted, sisters Anne (Natalie Portman) and Mary Boleyn (Scarlett Johansson). Under the influence of their uncle Thomas Howard, Duke of Norfolk (David Morrissey), the Boleyn girls were, in essence: “traded off like cattle for the advancement of men”, as their mother Elizabeth Boleyn (Kristin Scott Thomas) put it bluntly in the film. The sisters were ultimately pitted against each other by their own family members to win over the king’s heart. Ambitious and cunning in her own right, Anne Boleyn won Henry VIII over in the end. Lusting after a dangling fruit, the king sought for a divorce with Queen Catherine, just so he could marry Anne. When the Roman Catholic Church refused the annulment, Henry VIII excommunicated with the Church, and declared himself Supreme Head of the Church of England: the start of the English Reformation in the 16th century, a religious and political movement that grew into an avalanche across Europe when it comes to the practice of Christianity. Free from his marriage with Catherine and the Catholic Church, Henry VIII wed Anne in 1533 and was made queen consort, the dramatic chase prior already soured the relationship by then. Anne Boleyn’s downfall began after the birth of their child, Elizabeth; in other words, not the son Anne had led Henry VIII to believe she could bear for him as successor to the throne. Anne was thrown into hysteria when she had a miscarriage soon after, knowing full well that her failure to bear a male heir would cost her the position as queen consort – even her life. What happened in Anne Boleyn in her final days may have been summarised and dramatised in The Other Boleyn Girl: in an effort to promote the sisterly relationship between Anne and Mary, Mary had sought an audience with Henry VIII to plead for Anne’s life, even took Elizabeth away from the court to raise her as Mary’s own. In reality, Mary’s secret marriage to the humble William Stafford of small fortune (Eddie Redmayne), angered Anne and the Boleyn family. Mary and her husband were banished from court, and she died nine years later in her early 40s. In the end, Henry VIII attained the male heir he so desperately wanted, through his marriage with Jane Seymour, (Henry VIII was married six times in total). Their son Edward VI acceded the throne after him at the age of nine in 1547, the first monarch to be raised a Protestant following the English Reformation. The Crown after went to Queen Mary I in 1553, Henry VIII’s daughter with his first wife, Catherine, before finally succeeded by Queen Elizabeth I in 1558, the daughter he had with Anne Boleyn, and the daughter (instead of the son) who eventually brought England into a new era during her 45-year reign. In between Edward III from the days of Robert the Bruce, and Henry VIII, a total of eight British monarchs ruled over England. Their sovereignties were not better depicted than through the celebrated works of William Shakespeare: eight Henriad plays named after the kings each focused on. Shakespeare’s words were brought into televised light through BBC’s mini-series The Hollow Crown, the first cycle released in 2012, and the second in 2016, with a stellar cast of Britain’s most beloved actors: Ben Whishaw, Patrick Stewart, Jeremy Irons, Tom Hiddleston, Julie Walters, Michael Gambon, Hugh Bonneville, John Hurt, Judi Dench, Benedict Cumberbatch and many more. The first cycle of The Hollow Crown took place during the Hundred Years’ War, which spanned from 1337 till 1453. Ben Whishaw’s portrayal of the illustrious Richard II earned him a BAFTA for Leading Actor in 2013, as he went head-to-head with Rory Kinnear’s Henry Bollingbroke – later, Henry IV. The claim to the French throne, the main purpose behind the Hundred Years’ War, was within sight when Henry VI’s son, Henry V (Tom Hiddleston) assumed sovereign after his father’s death (Jeremy Irons) in 1413. Henry V became a celebrated figure amongst the great warrior kings of medieval England, especially after the famous victory at the Battle of Agincourt in 1415, coming close to conquering France itself. The second cycle of The Hollow Crown focused wholeheartedly on the Wars of the Roses, following England’s loss to France in the Hundred Years’ War, in which Tom Sturridge played the adult Henry VI, with Sophie Okonedo as his headstrong queen consort, Margaret of Anjou, pitting them against the Yorkists; the civil war was named after the county flowers representing the respective royal houses: the House of Lancaster represented by a red rose, and the House of York, a white rose. After two monarch reigns under the House of York – Edward IV (Geoffrey Streatfeild) and Richard III (Benedict Cumberbatch), the House of Tudor took over the reign from the House of Plantagenet under Henry VII (Luke Treadaway). When he married Elizabeth of York (Edward IV’s eldest daughter and Richard III’s niece), the Wars of the Roses came to an end, with the Tudor rose emblem uniting both the rose colours of Lancaster and York. Henry VII ruled England in peace for 24 years, initiating diplomatic relations through his surviving children: Margaret Tudor grew up to become queen consort of Scotland and grandmother to Mary, Queen of Scots; the English throne fell to Henry VIII, as well as the betrothed Catherine of Aragon, both initially promised to his eldest brother, Arthur, Prince of Wales, before his untimely death when he was 15. The monarchies of England and Scotland were once again challenged nine successions later after Robert the Bruce, when Queen Mary returned to Scotland in 1561, a nation that has been ruled by regents the last 19 years since his father, King James V of Scotland’s death in 1542, despite acceding the Scottish throne when she was but six-year-old. This time, the tables are turned, when a Scottish monarch might instead stand a chance to rule England: England was then under the rule of Queen Elizabeth I, Mary’s first cousin once removed, but due to the fact that Queen Elizabeth could not bear an heir to the English throne, Queen Mary’s potential claim to the throne strengthened further when she bore a son in her marriage to her first cousin Henry Stuart, Lord Darnley. Mary, Queen of Scots unfolded during the Rising of the North rebellion in 1569, when both Queen Mary (Saoirse Ronan) and Queen Elizabeth (Margot Robbie), secretly tried to sabotage each other for the rightful claim to the throne: Queen Elizabeth offered her suitor of many years and favourite Robert Dudley (Joe Alwyn) to her cousin to marry, under the pretence that the English Catholics would only recognise Mary as their rightful Queen if she marries an Englishman, when in actuality, it would weaken Mary’s threat to Elizabeth’s monarchy. By then already into her third marriage to James Hepburn, Earl of Bothwell (Martin Compston), the man in suspect for the assassination of Queen Mary’s second husband, Darnley (Jack Lowden), Mary was forced to abdicate in 1567, in favour of her then one-year-old son, James. She was ultimately sentenced to death by execution 20 years later for treason, when Queen Elizabeth encountered documents that Mary conspired with Elizabeth’s enemies in an attempt assassination. In retrospect, one may argue that Mary, Queen of Scots’ attempt to steal the Crown from Elizabeth I to be foolish. However, if she had not done so, the next in line to the British monarch may not have come to be amidst the hubbub: Mary’s only son, James, who after Queen Elizabeth I, ruled both England and Scotland as King James VI and I – as his mother had intended to in the first place. In this lifetime, many actresses have taken up the role in portraying Queen Elizabeth I: Margot Robbie in the aforementioned Mary, Queen of Scots, Judi Dench in Shakespeare in Love, Betty Davis in The Virgin Queen, Katharine Hepburn in Mary of Scotland… but the portrayal of Good Queen Bess that stood out the most for us would have to be Cate Blanchett’s – first, in the 1998 film Elizabeth, which won Best British Film at the BAFTAs and seven Oscars nominations in 1998; and the second time, in the 2007 sequel. The execution of Mary, Queen of Scots in 1587 was but the stone that caused an avalanche on Elizabeth I’s reign; revealed in Elizabeth: The Golden Age, Mary (played by Samantha Morton in this film) was but a pawn to a much bigger threat at the time – King Philip of Spain (Jordi Mollà). The conspiring documents found that linked Queen Mary to Elizabeth’s assassination was eventually known as the Babington Plot, named after the English noblemen Anthony Babington (Eddie Redmayne), who carried out the failed assassination in league with the Jesuits in London, a society of scholars from a Catholic order originated from Spain. King Phillip of Catholic denomination saw the Protestant Queen as a threat to his reign, and resolved to take over England, and place his daughter, Isabella as the Queen of England instead. Sir Francis Walsingham Geoffrey Rush) was unaware of the King’s hidden agenda, and the King used Mary’s execution as a diversion and advantage to obtain papal approval from the Pope and other Catholic leaders for a holy war against England. Perhaps it was divine intervention, or just a bad case of the weather, but despite the Spanish Armada’s 130-strong ships that set sail in 1588, far outnumbering that of the British fleet, England came out victorious after the storm calmed – the events became one of the greatest military victories in English history that was associated to Elizabeth I. Overtime, Elizabeth I became celebrated as The Virgin Queen. During the Elizabethan era, English drama flourished, during when William Shakespeare found fame. More moderate in government than her father Henry VIII, her 44-year long reign on the British throne gave the country peace and stability. Six monarchic successions later after King James VI and I, England finally found themselves united with Scotland as one nation. Since 1603, King James VI had been working hard towards the “Union of the Two Kingdoms of England and Scotland”; the two countries shared a monarch under the Union of the Crowns, with two separate Crowns worn on the same head, ruling over separate states with separate legislatures. Following the Glorious Revolution in 1688, which led to the overthrowing and deposition of her predecessor King James II of England, Queen Anne ascended the throne as Queen of England, Scotland and Ireland, under the Acts of Union in 1707, granting her reign over England and Scotland with only one Crown. Set in the early 18th century, yet peppered with a 21st century dark humour otherwise unheard and unseen of in the earlier century, The Favourite brings to light prominent figures in the British palace that may not have come to our attention otherwise, especially for those who aren’t too familiar with the British royalty – favourites. Dubbed to avoid more distasteful terms like “royal mistress” or “lover”, a favourite is, in essence, an intimate companion of a ruler, and who would, more often than not, have attained sexual relations with said ruler. (Robert Dudley was the much talked about favourite of Elizabeth I during her reign). In return for pleasuring the monarch in bed and general companionship, a favourite was given a voice in the parliament, even to the extent of making decisions that would make or break a nation, including the monarch’s reputation. In The Favourite, Rachel Weisz is Sarah Churchill, Duchess of Marlborough, a close friend and favourite of Queen Anne’s, whose relationship was widely known amongst the leading public figures of Britain, so much so that some of them would consult her when it comes to influencing Queen Anne’s compliance towards whichever political party’s request. Churchill’s influential position was ultimately challenged when she took in her impoverished cousin, Abigail Hill (Emma Stone), who rose from her initial position as a scullery maid in the palace, to Keeper of the Privy Purse, when Hill managed to catch Queen Anne’s attention enough to make her the queen’s favourite over Churchill. Great Britain was thrown into disarray during King George III’s reign towards the end of the 18th century, when the King descended into a bout of mental illness in 1788. It was during this time when The Regency Crisis took place in the British parliament: opposition leader Charles Fox confronted the then Prime Minister William Pitt the Younger with a bill that would eventually be passed as the Regency Order, appointing a member of the royal family to govern a state, when the monarch is absent, too young or incapacitated. In this case, it was George III’s eldest son and heir apparent to the throne, George IV. The Regency Crisis was portrayed with much humour and drama in Alan Bennett’s play The Madness of George III, and made into a film in 1994, which starred Nigel Hawthorne as George III, Rupert Everett as the then Prince of Wales, and Helen Mirren as Queen Charlotte. The film adaptation won the Outstanding British Film and Best Actor in a Leading Role awards at the 1995 BAFTAs, even and Oscar for Best Art Direction. The film shed light a non-member of the royal household who stepped in to assist the monarch in his time of need: Dr Francis Willis. Played by Ian Holm in the film, George III was whisked away to The White House in Kew, where he met the doctor following the attributed blood disease porphyria that caused the king’s mental instability. While the king fought his battles with Willis, a different one raged in Parliament between Fox (Jim Carter) and Pitt (Julian Wadham), where his son was just a breath away from usurping him. Fortunately, Willis’ reputation preceded him, and George III was nursed back to health. The Regency was put away (if only for the time being), and Willis’ popularity amongst the public allowed him to open a second establishment. The doctor was also commissioned a special medal to commemorate his own achievements, on top of the King’s £1,000 a year reward for 21 years, despite his death three years prior. However, in 1810, after George III’s final relapse, the Prince of Wales stepped in and ruled as Prince Regent until George III’s death in 1820. The king was survived by 13 of his 15 children (two died during childhood), including two Kings of England King George IV and King William IV, the latter succeeding the former; and Prince Edward, Duke of Kent and Strathearn, Queen Victoria’s father and Elizabeth II’s ancestor. The matter of a Regent rule resurfaced, when Queen Victoria was made heir apparent to the throne of England when she was three years old, following her uncle George IV’s daughter, Princess Charlotte’s death of childbirth in 1817. Since young, her mother the Duchess of Kent and their comptroller John Conroy raised her under strict supervision, which brought Victoria up to be a dependant individual towards them, in hopes that a Regency Order would be initiated, and the country’s rule falls on her mother as regent. In The Young Victoria, which Emily Blunt played the sturdy queen since she was 18, brought to light her perseverance through the pressure of her mother and Conroy (played by Miranda Richardson and Mark Strong respectively), as well as the parliament by way of her close friendship with Lord William Melbourne (Paul Bettany). In a time when a young sovereign queen could have easily fallen into the puppetry of more senior figures both in parliament and the palace, Queen Victoria pulled through and instead worked things to her advantage. The young queen might have drawn the disfavour of the public in the beginning, due to her favouritism towards Lord Melbourne of the Whigs, in comparison to the Conservative’s Prime Minister at the time, Robert Peel (Michael Maloney), but things worked out for the better – both for the country and herself, when she agreed to the marriage with Prince Albert of Saxe-Coburg and Gotha (Rupert Friend), in part to break free from the social convention of living with her mother. While their initial meetings posed to be tense and suspicious, (for Prince Albert was put under Victoria’s nose as a husbandry candidate by her uncle King Leopold), they grew fond of each other, partly due to their shared interest in art and music, as well as their common ambition in the betterment of the society. Their reign came to past to be known as the Victorian era, when the United Kingdom thrived with industrial, cultural, political, scientific and military changes, and expanded beyond the country to 23% of the world population via colonisation, made all the easier through their nine children, who were all married into royal and noble families across the continent – dubbing Queen Victoria the “Grandmother of Europe”. While Queen Victoria’s reign of 63 years and seven months made her the longest-serving British monarch, surpassed only recently by her great-great-granddaughter Queen Elizabeth II in 2015, she spent the latter 40 years of her reign alone, for Prince Albert died in 1861, a mere 24 years in to her reign. For a more meticulous representation of Queen Victoria during her reign, the Masterpiece anthology series by PBS, Victoria, would satisfy anyone’s curiosity on the Queen. With Jenna Coleman portraying a young Victoria, the series premiered in 2016, depicting events from her accession to the throne, to her courtship and marriage to Prince Albert (played by Coleman’s real life partner Tom Hughes). The third season has just recently concluded, in which Victoria played out The Great Exhibition of 1851 – a five-month long international exhibition that showcased the royal couple’s pinnacle success in promoting the local art and music industry; and the becoming of Edward VII, next in line to the throne. In a 2017 Christmas special, showrunner Daisy Goodwin brought forth an untold story of Sara Forbes Bonetta (Zaris-Angel Hator), a West African Egbado princess gifted to Queen Victoria by the King of Dahomey – “a present from the King of the Blacks to the Queen of the Whites”, whom the Queen adopted as her own. Another reinterpretation of Queen Victoria, particularly in the last 14 years of her reign, would be that of Judi Dench’s in this heartfelt biographical drama film, in telling the story of the Queen’s friendship with the Munshi, Abdul Karim. In 1887, the 68-year-old Queen celebrated her Golden Jubilee anniversary, 25 years since her accession, amidst 50 European kings and princes. From Agra, British Raj, Karim (Ali Fazal) was instructed to travel all the way to England to present the Queen with a mohur, a minted gold coin and a token of appreciation from the then British-ruled India. It was during this short encounter that Karim caught the attention of the jaded Queen. A breath of fresh air in comparison to the fawning courtiers, the Queen formed a friendship with Karim, after promoting him to become her Munshi (“teacher”) in teaching her Urdu and the Qur’an. The Queen’s favouritism towards the Munshi indubitably bred a resentment within her household and inner circle, especially from her eldest son Bertie (Eddie Izzard). Perceived to be taking advantage of his position as the Queen’s favourite, Bertie, together with the others, devised countless plots to get rid of Karim from the Queen’s side. Alas, they were all in vain, for the Queen remained faithful to her friendship with Karim, subsequently honouring him a Commander of the Royal Victorian Order on her 80th birthday. In 1901, after Queen Victoria’s death and Bertie’s natural accession to the throne as Edward VII, the new King dismissed the Munshi and his family from court and sent them packing back to India, and all correspondence between the Queen and Karim were burnt on Edward’s orders, including photos signed by the monarch. In the end, Karim offered nothing more but friendship and companionship to the Queen, which was crucial to one who has grown lonely and tired in ruling the British Empire by her lonesome self for 26 years since the death of her husband Prince Albert, and all of Bertie’s suspicions of Karim in overthrowing the monarch, unfounded and ridiculous in retrospect. Another “outsider” who has played a prominent part in assisting with the British monarch in this lifetime, is Lionel Logue, an Australian speech therapist, who despite no formal medical training, has helped King George VI’s pronounced speech impediment, and has built a deep and lifelong friendship with the king until his death in 1952. The King’s Speech traces the king’s struggle, when still a Duke of York, he was put under the spotlight in addressing the crowd during the closing ceremony of the British Empire Exhibition, with a strong stammer. Not giving up on her husband, Prince Albert’s wife, Elizabeth (played by Helena Bonham Carter), managed to find a speech therapist who has set up its private practice along Harley Street: Geoffrey Rush’s Lionel Logue. The future king (Colin Firth) eventually warmed up to Logue, and received help with his stammering through time, and through Logue’s unconventional treatment, just in the nick of time, for his brother Edward VIII (Guy Pearce) abdicated the throne for the woman he loves but who was not accepted into the royal family, Wallis Simpson (Eve Best); and he himself made king. George VI was immediately thrown into the uproar of the Second World War; when pitted against a leader who has influenced an entire nation as Adolf Hitler had with mere words, George VI’s stammering may cause the British nation its morale – even the war. Logue foresaw the king through the preparations of the film’s namesake speech, and in 1939, under close guidance of the therapist and friend, George VI delivered his first wartime radio broadcast, announcing Britain’s declaration of war on Germany in almost perfect enunciations, peppering in a few slips on his w’s “so they’d know it was me,” the monarch joked. The movie received numerous nominations following its release in 2010: a whopping 12 nominations in total at the Oscars, in which it won four – Best Original Screenplay, Best Director, Best Actor in a Leading Role, and Best Picture. If you thought Prince Harry marrying Meghan Markle was scandalous in the British monarch’s books, wait till you hear the story of Harry’s granduncle! In understanding how Albert acceded the throne as George VI in 1936, (for he was the second son of George V), one has to turn back the clock but only slightly to the time when his elder brother Edward abdicated his short reign as King of England, 326 days to be precise – all in the name of love. The then Prince Edward was very much in the spotlight due to his string of lovers, with married women no less, which began during the First World War when he was in his 20s. He was in his late 30s when he met Wallis Simpson, an American divorcée and a married woman at the time; ultimately, the woman that made Edward settle down proper, although not within terms that pleased the monarch and parliament. Directed by Madonna herself, W.E attempts to unfold the scandalous love affair from Simpson’s point of view, through the eyes of Wally Winthrop (Abbie Cornish), a young housewife trapped in a straining relationship, who found comfort in the romanticised love story of Edward VIII (James D’Arcy) and Wallis Simpson (Andrea Riseborough). Over centuries under a monarchy reign, one could only surmise that a nation once in its infancy would someday walk on its own two feet, and come to be of its own, perhaps even challenging the presence of its predecessor that has guided it every step of the way. The culmination of a monarch leader for a nation reached its peak during Elizabeth II’s reign, when a dominion of rich traditional history, comes face to face with the modern times. After years under the scrutiny of the public, magnified by the tannoy headlines of the media, Elizabeth II and the existence of a sovereign altogether is put under the spotlight, when Diana, Princess of Wales was killed in a car crash in Paris in 1997. Under Helen Mirren’s Oscar-winning portrayal of the current Queen of England, The Queen walks us through what may very well happened behind the scenes, following the broadcasts of Diana’s death. As the public mourned the loss of the “people’s princess” outside the gates of Buckingham Palace, the senior members of the royal family (the Queen Mother, Queen Elizabeth and Prince Phillip) remained undeterred by the motions, proceeding with their holiday at Balmoral under the pretence of keeping the young princes William and Harry protected from the public hysteria. Overtime, the royal family’s popularity plummeted, even achieved a suggested monarchy abolishment altogether due to its irrelevance in the public’s eye (albeit a small percentage and at a short time), as newly elected Prime Minister Tony Blair (Michael Sheen) conducted various damage control, while at the same time, persuaded the Queen to take action in regards to Diana’s death. After much coaxing and back-and-forth between Blair and the Queen, the royal family finally gave in and returned to London to meet its nation in mourning. Elizabeth II paid public tribute in front of the gates of Kensington Palace, riddled with floral tributes by the million, measuring up to five feet deep, before attending a public funeral for Diana at Westminster Abbey. In retrospect, you could say that Elizabeth II’s willingness to embrace modernity and change contributed to the Queen’s 67-year reign. Before the 1997 controversy, the Queen has numerous times subdued to the changes of the world in keeping the monarchy relevant, most notably: her coronation in 1953 was the first in the British monarch to be televised, with a worldwide television audience estimated at 277 million; and in 1957, the monarch’s famed Christmas message (previously broadcasted through wireless) debuted on televisions across the nation, a Christmas tradition the Brits have adapted to over the years. Created and written by Peter Morgan, the man behind the scripts for the aforementioned The Other Boleyn Girl and The Queen, The Crown traces the life of the current British monarch in a more in-depth and wholesome perspective since her wedding to Prince Phillip in 1947. Since its premiere in 2016, the series has already garnered numerous awards, namely for actor John Lithgow, who played Winston Churchill, the Queen’s first Prime Minister, actresses Claire Foy and Vanessa Kirby, who played Elizabeth II and her sister Princess Margaret, respectively. The third season is slotted to return to Netflix later this year, with an overhaul of the cast, as they continue to tackle Elizabeth II’s sovereignty in the 1960s: the Queen’s portrayal will be passed on to Olivia Colman, (who also played Elizabeth’s predecessor Queen Anne in The Favourite), with Tobias Menzies and Helena Bonham Carter assuming the roles of Prince Phillip and Princess Margaret. New additions Josh O’Connor and Emerald Fennell will pave the road for the next generation of the British monarch as Prince Charles and the Duchess of Cornwall, with Gillian Anderson set to play Margaret Thatcher in the fourth season.